Annually, the National Association of Insurance and Financial Advisors – NAIFA-Atlanta identifies the top forty advisors in the metro area under the age of forty. 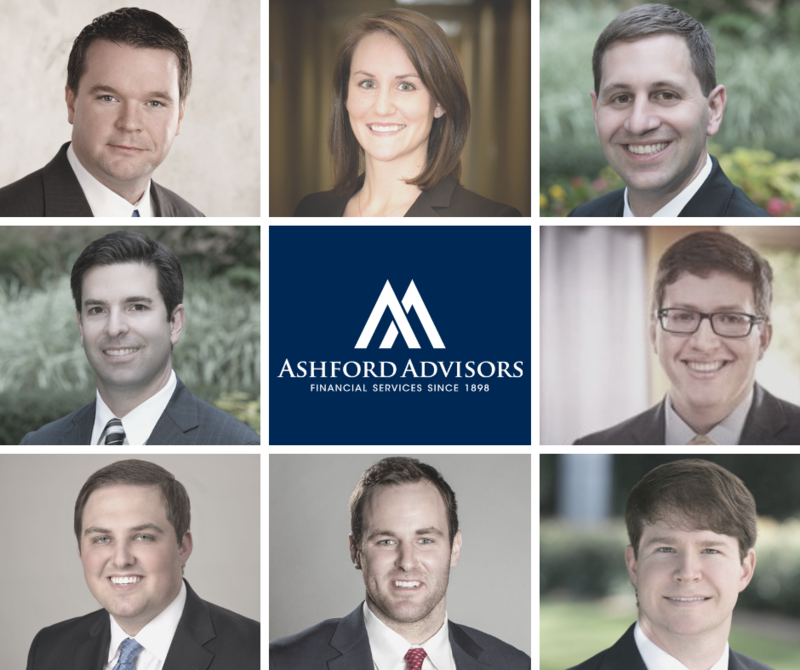 Ashford Advisors is pleased to announce eight 2019 designees, including: Britton D. Adams, ChFC®, Lisa M. Arnold, MBA, ChFC®, Elie E. Engler, ChFC®, CFP®, W. Edward Inman, ChFC®, CFP®, Joshua M. Ketchie, CPA, CFP®, ChFC®, Andrew C. Matthieson, Michael Palmer, and Reagan H. Wolfe, ChFC®, CLU®. Recipients of NAIFA-Atlanta’s Top Advisors Under 40 are nominated by their peers or business associates and are evaluated on business production, years in the business, and community involvement for professionals 40 years of age and younger throughout the Atlanta metropolitan area. Michael Palmer spoke as a guest panelist at the annual Top Advisor Luncheon where all designees were honored, and the award winners were highlighted in the Atlanta Business Chronicle in late March. Based in Atlanta, Georgia, Ashford Advisors is a financial services firm with the mission of growing the wealth and enhancing the financial security of our clients through the development of comprehensive financial strategies. Since 1898, our advisors have strived to make a lasting, positive impact on the lives of their clients and the communities in which they live. Ashford Advisors is a general agency of The Guardian Life Insurance Company of America, New York, NY. More information about Ashford Advisors can be found at www.ashfordadvisors.net. Find Ashford Advisors on Facebook and LinkedIn. Financial services available to individuals and business owners through Ashford Advisors include strategies and products for financial protection and investments; asset allocation, college, retirement, business and estate planning strategies; life insurance, annuity, and investment products, including mutual funds.